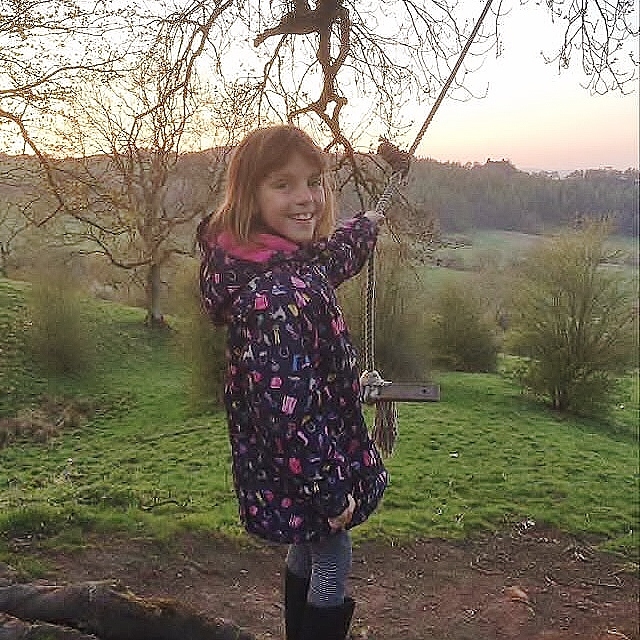 We are so lucky to live in the beautiful Derbyshire countryside, there are so many things to do right on the doorstep. Although whilst I like to chill after a busy day at work, Grotbags often thinks otherwise, she is not one of those children who sits quietly but always likes to be on the go, this can be rather exhausting at times and after a busy day at school she loves nothing more than being active, so after tea we head out for an hour, weather permitting. This ropeswing was put up by my boys when they were younger and is just over the back field, you can actually see Robin Hood Stride in the background and such a fabulous view, especially at sunset. She just loves spending time here and I think there is even a hidden geocache nearby. 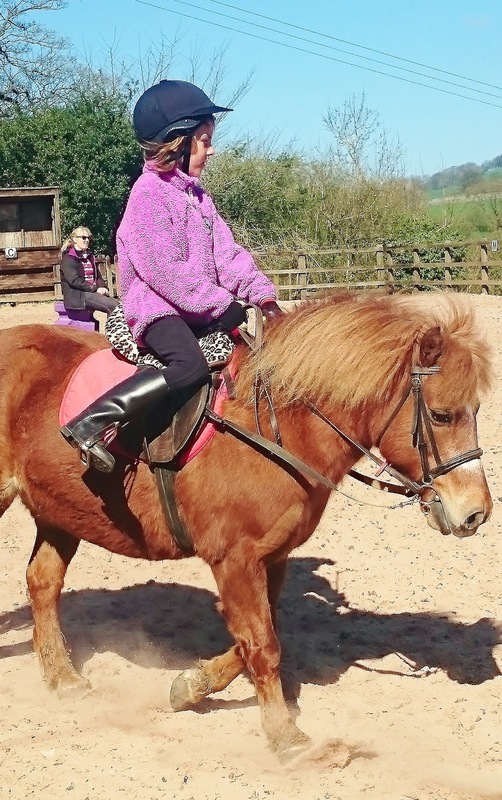 Her favourite activity is horse riding, this has helped her to overcome OCD tendencies. I do believe that animals can help with anxiety problems, her confidence has blossomed since she started having riding lessons and those tendencies which were troublesome have diminished. Who says girls can't climb, give her a suitable surface and she will attempt anything. Luckily we have had no major accidents as yet, fingers crossed there won't be. Enjoying the outdoors doesn't have to cost money, it is the simple pleasure of wandering around and exploring the places nearby that can give those lasting childhood memories. I love Derbyshire, it really is so beautiful. I used to drive their regularly for work and miss it a bit now. It looks the perfect place for exploring!